Does AiMesh reduce Wired Performance? 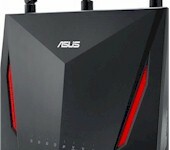 Discussion in 'ASUS AC Routers & Adapters' started by ces1965, Mar 21, 2019. So I have a newer RT-AC3100 I've been running as my main router the past few months. I also had two older RT-N66 running as APs also. Everything was fine. I picked up today an RT-AC88u used and decided to try AiMesh. I used the RT-AC88U as the node, connected via ethernet. Got it working and kind of like it, but my wired ethernet performance to my desktop mac and PC tanked. I connected my laptop with ethernet and couldn't get any kind of good wired performance - wifi was better. I have really fast Fios so I used that to test speed mostly, but also used iPerf to take internet out of the equation. Same story.Now maybe it was coincidence or some other thing was happening, but I didn't get my wired ethernet performance back up to snuff until I turned off Aimesh and set up the RT-AC88U as just a plain old AP. 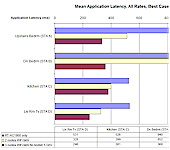 Does Aimesh affect ethernet performance to other clients? Because of the use of the ethernet backhaul? Did you remove the N66s and setup only a 2-node AiMesh? Did you update the AC3100 and 88U firmwares to the latest and then reset both to factory defaults before configuring the AC3100 from scratch and adding the untouched 88U as node? 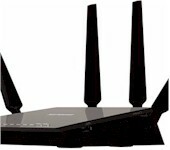 Were clients wired to the AC3100 router slow? Did the router GUI status report their wired link rate as 1 Gbps? Were clients wired to the 88U node slow? Did you determine their link rates? Short answer is likely No, AiMesh should not reduce your Ethernet speeds anymore than any other system processing overhead would. Maybe you had some weird traffic happening that was gumming up the Ethernet. Or maybe the used 88U is not quite right. Presumably all Ethernet cables are Cat5e or better and healthy. I did make sure the firmware was updated on the AC3100 and AC88U, but I did not reset the AC3100. I did reset the 88U since it was used. The clients to the AC3100 were slow, and so were the clients to the 88U (when connecting my laptop in various locations in my wire network). I did not determine the link rates - is that visible in the Asus web interface? The cables I'm not sure but I can use iPerf to test them - in the past they've always supported close to gigabit performance. So I don't think it's the cables. In short, I will play around with some of these things more - UNLESS I can't run the N66s as APs along with the AiMesh AC3100 and AC88U. I need to run the N66s as APs for now until I upgrade them. Given the weird Ethernet results, I can only recommend to rebuild the AiMesh from scratch, starting with reset routers. Then add the APs, IF that is permitted... I'm not sure... I would guess yes at the router only. Router LAN link rates are visible in the router GUI under Status. And, client OS usually reports network connection status link rates. Confirming expected link rates would rule out those cables/LAN ports. Is the main router using CTF and FA, or have other features been turned on that has disabled hardware acceleration? Can you put numbers for us as to the Wired and Wireless speeds achievable? Thanks. Basically in my desktop Mac mini on a wired connection I can get .8 gigabit or 800 ish megabits per second download off Fios using speedtest.net’s mac app. When AiMesh was on it plummeted to 1/10 of that. Weirdly upload speeds were much higher approaching gigabit but very spikey. I also used my laptop that has AC wifi plugged into the AC88U. Toggling wifi on and off, I could get to around .3 gigabit or higher on wifi but again like 80 megabits per second on Ethernet. I know using speedtest.net is not ideal but I have gigabit internet so it’s a good test . I tried iperf between my laptop and desktop Mac and it was again max 100 megabits with AiMesh when both can get gigabit speeds on Ethernet. Usually don’t bother with iperf now for testing with the internet I have. What is CTF and FA? 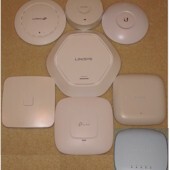 I don’t have many features on for my main router. Just vpn and DDNS. Make sure your nodes are really using the ethernet as backhaul. On the router go into the node setup and click "More Config". Make sure "Connection Priority" is "Ethernet" - not "Auto". I'm not sure if they ever fixed this bug, but if set to "Auto" it often used wifi for backhaul. You can verify this by checking whether "Connection type" says "wired". Thanks, that is a drastic cut to the wired performance! CTF is Cut-Through Forwarding. FA is Flow Acceleration. Both methods help to accelerate routed traffic on a network. You can check the state of this setting in the GUI in LAN, Switch Control. A quick search brings up many issues with the Mac mini and Ethernet. Are you up-to-date with all the updates? Have you changed any settings for the port? Can you verify that everything is set up as it should be (I think it should be on 'auto', but I don't have a mac mini to check for you)? One thing I didn’t mention is I have multiple dumb Ethernet switches as part of my wired network. There was no switch between the AC3100 and the AC88U but there was one between the AC3100 and Mac mini. I tried powering all the switches on and off when AiMesh was running and that didn’t help. Is there a recommended practice for these switches like power them all off reset the two AC routers to AiMesh and then power the switches back on? The quickest troubleshooting step is to connect the Mac mini directly (bypass the switch completely). Doing a full network restart/bootup may help, but it is much more involved. Can you connect the mini directly to the AC3100? Does performance improve? When you're ready, I'd recommend you perform a clean simple AiMesh network install from scratch with an unswitched wired backhaul and set the node properties to used that Ethernet backhaul. Then test that. If it tests out ok, then reconfigure for your site requirements and test performance after each modification. In this way, you build out your network and know when something becomes incompatible. At this point, you have not yet performed a clean install. Thanks all. I will try Aimesh again but may wait until the next set of firmware upgrades. My AC3100 and AC88U are working great with the 88u in AP mode, and I've still got my N66s in less important places. iPhones roam pretty well between APs so I don't have a real world problem for AiMesh to solve. 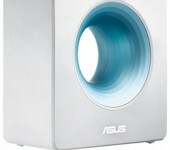 I like the idea however, so I plan to roll it out at some point and hope Asus keeps supporting and improving it. Actually if i could justify a set of Lyra trios to replace the N66s I would do it now. Maybe when they go on sale or someone dumps them on craigslist.